Having built up more than 25 years’ experience in academia, Professor Anne-Wil Harzing’s much anticipated inaugural lecture: ‘Babel in business: the role of language in international business’, took place at Middlesex University on the evening of 13 April 2016. Professor Harzing’s research interests lie in the fields of international business and human resource management, including expatriate management, HQ-subsidiary relationships, cross-cultural management, transfer of HRM practices and the role of language in international business. In her lecture, she discussed ways to overcome communication obstacles in multinational corporations when there is not a shared language. She explained how and why language can form a barrier to effective communication and presented several solutions that can be used to overcome these barriers. The lecture featured illustrations of how the solutions are used in multinational corporations in different countries and she also spoke on her future research agenda in this field. Anne-Wil joined Middlesex as Professor of International Management in July 2014 to assist in raising the University’s research profile. Drawing on her vast experience on the quality and impact of academic research, she provides mentoring, advice and networking opportunities to fellow Middlesex academics, as well as identifying areas for development for the University. 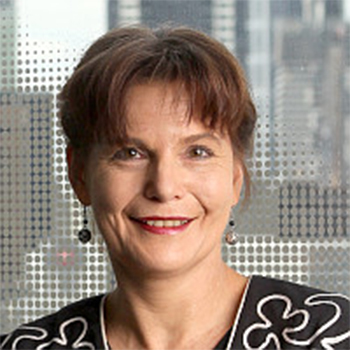 Prior to joining Middlesex, Professor Harzing was Research Professor and Development Adviser at ESCP Europe and Associate Dean Research at Melbourne University. She is best known for creating Publish or Perish – a piece of software that ranks research based on the number of citations it has received. Middlesex University’s Deputy Vice-Chancellor Academic Waqar Ahmad has promised that Middlesex will continue its strategy of investment in research to “gain even greater outcomes". To find out more about the world-leading research that takes place at Middlesex, visit our research hub.